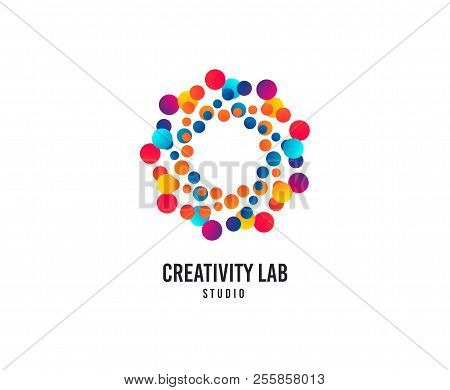 Creativity lab logo. Bubbles or Dots vector icon. Creative design studio logo. Business company brand sign. Minimalistic modern creativity graphic logotype. Typography template.